I’m all about making my own condiments. I’m not all about making my own condiments all the time. I just don’t have time for that. Sometimes, it’s just nice to have something with a little more personality! There are tons of great ketchups and barbecue sauces out there, but sometimes I like to spice things up a bit. Often I’ll make my own sauce when I make pulled pork in the slow cooker, because I have pretty much zero other prep. The same goes with burgers. They are so simple, and I rarely even make a side dish, so it’s nice to be able to spice things up with homemade barbecue sauce. I feel like this is kind of a new obsession of mine. I think it has a lot to do with how easy it is. Meat and sauce. Maybe a jar of pickles. Some iced tea. The perfect summer meal! So this time I wanted to try something with pineapple. I am also a big fan of sweet on meat. That kind of has a ring to it, doesn’t it? I love all things sweet and sour. Maple, apple, pineapple, cranberry, brown sugar, tomato, apricot, honey, saskatoons — I love it all in my dinner. I’m actually a little embarrassed about my sugar consumption at this point. I feel like a normal person should be able to make dinner without adding fruit or sugar or fruit and sugar. So I added a bunch of random stuff to a pot and simmered it with my pineapple juice. It is so good. It’s sweet and tangy with just a hint of spice. 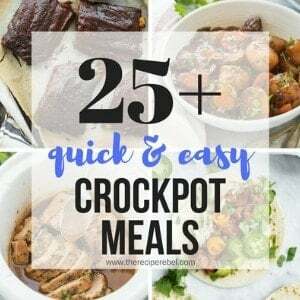 It pairs perfectly with pulled pork, but it would also be fantastic on chicken or beef! Sweet and sour barbecue sauce with a bit of spice! Delicious on any kind of meat. 1 pinch red pepper flakes or more if you like it spicy! Add all ingredients except for corn starch and water to a medium pot. Bring to a boil and reduce to medium-low, simmering for 10-15 minutes until flavours come together. Mix equal parts corn starch and water. Slowly add to the sauce and stir, until you reach your desired consistency. Serve with pork, chicken or beef. I haven’t tested the pH level so I can’t say 100%. Sorry! My husband was smoking some ribs he marinated in,pineapple juice. I was looking for a barbecue sauce that might complement them when I found your blog. This recipe worked so well with the ribs. It will be in rotation from here out. Thanks Denise! I love this recipe on pork, I can just imagine how good it would be on ribs! LOL, you had me at ” sweet on meat”! So happy I found your site, thanks for this great recipe ! As a fellow sweet/sugar fan I look forward to more! I would keep it 1-2 weeks in the fridge, or it can be frozen up to 6 months. This sauce is amazing! Because I have kidney disease I cannot add the salt or ketchup. Instead I eliminated the red pepper flakes and added sriracha. It gives it some heat and love the taste! I’m so glad to hear it worked out for you! So Chick-Fil-A has ruined the world by changing their bbq sauce recipe. Their original sauce had pineapple concentrate in it. Does this sauce resemble (or could be adjusted to) Chick-Fil-A’s original recipe? I’ve never been to a Chick-Fil-A, so I really can’t say! Looks YUMMYLICIOUS.I am going to try this with a pork loin roast I just bought. 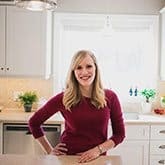 I love to experiment with recipes,. Usually I add or take away something. On yours I am going to add some crushed pineapple. Mmmmm. I lived in Hawaii for 3 years and that is the one thing I never got tired of eating. I live in North Carolina now and everyone has that sauce with vinegar and pepper flakes. Not a fan. Was raised in south Georgia where we have thick red sauces. I hope you enjoy it Joan! I just made some the other night and was reminded how much we love it. Crushed pineapple is a great idea! OH CRUD. I wish I hadn’t come across this because now I won’t be able to get it out of my mind!! Kidding. I am delighted to make this sauce’s acquaintance. I would just put it on everything! I had leftover canned pineapple juice from a kid’s pizza party (never too much pineapple on a pizza!). I usually make a cake out of the excess juice but since I used several cans it was too much. I decided to try this recipe since it is basic. Did I mention that I live in the Caribbean and some ingredients are hard to get? Well, I tried this recipe to slow cook some ribs. It tasted so good that I will forget the cake and make another batch of BBQ sauce as I know my son will want more. Yum! 200ml would be just under a cup — 250ml is one cup. I would use about 3/4 cup and if you want it a little thinner or sweeter, just add a little more juice at the end. Hope that helps! Making this today for the second time, with slightly less pineapple juice because I was told it tasted “too much like pineapple”- as if there was such a thing! I thought it was fantastic! 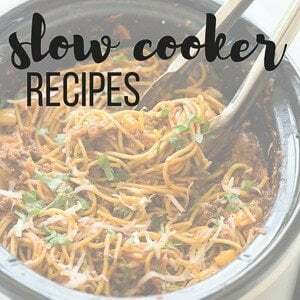 I mixed everything together in the crock pot (cornstarch included), put in a round roast, and leave it to cook all day. By dinnertime it’s easy to shred and we will have shredded beef sandwiches, and it thickens perfectly. Thanks for a great recipe! What a lovely version of a BBQ Sauce! I´m always checking new Sauces and i promise i´ll try your version! Best wishes for a lovely weekend! Wow, this recipe is so clever and sounds super delicious! Yuuum! I would literally want to put this sauce on everything! Looks so yummy! This sauce looks SO yummy! I love that you used pineapple! Pineapple and BBQ are the perfect combo! This BBQ sauce is the perfect mix of sweet and savory. I love making my own bbq since I can customize it to compliment whatever it is I happen to be making. I think I could almost eat this by the spoonful! This looks so delicious and I love anything that’s sweet and sour! Homemade barbecue sauce is the best! I bet it’s extra delicious with the pineapple! I am making this sauce ASAP! This looks delicious!!! I like making my own condiments some of the time too! Not always, but sometimes it’s nice! 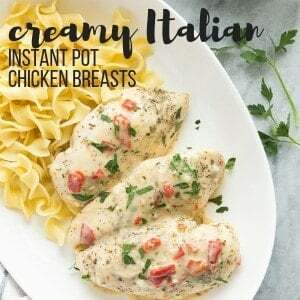 This sauce looks amazing – definitely need to try it soon. Love the pineapple-brown sugar combo! Oh my, I love sweet and sour sauces too! This looks and sounds amazing!!! I would seriously slather this on everything!!! This sounds amazing!! I love the pineapple juice…sounds so good. Need to try this slathered all over some meat! 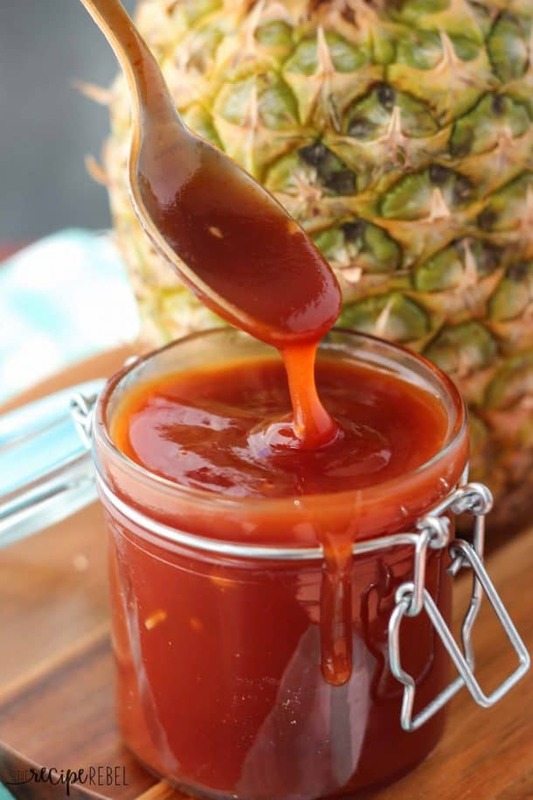 I love a good twist on a classic recipe, the tropical version of this barbecue sauce its so something that I would enjoy and I would definitely whop a batch to have on hand for summer get togethers. Ohh I love this idea! I usually go for vinegary BBQ sauces, but this is such a good change of pace! I hear that. I love making and knowing that I can make my own condiments…but by no means do I make all of my own, all the time. 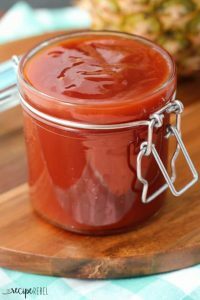 This bbq sauce sounds amazing – such a mouthwatering combination of flavors! Glad I’m not alone! I love it but it’s a lot of work if you’re making all of them! Can I have a spoonful of this, please? Looks and sounds absolutely delicious. Can’t wait to make some BBQ ribs with smothered with this sauce. This sauce sounds delicious! The addition of pineapple sends it over the top! Thanks Rachelle! I love pineapple! Ooo, I’ll have to try that! Sounds awesome! I think I could just drink this sauce, it sounds SO good! I love the pineapple and brown sugar combo. This would be perfect on just about everything! Thanks Gayle! I love a nice sweet barbecue sauce! Sorry I missed your comment! I think this would last a good amount of time, maybe a couple weeks? I’m sure it would freeze well if you need it to last longer. Has anyone tried to can this? It sounds so good but I would like to make a larger batch and can if possible. Thanks! I haven’t personally — I’m not sure if anyone else has. I just made your sauce and it was amazing!!! My 4 year old hates BBQ sauce but can’t get enough of this. I added some crushed pineapple because I am a pineapple lover. Thanks so much for the recipe!!! I’m so glad you liked it! The crushed pineapple is a great idea! That’s a great idea! Glad you liked it! Sounds delicious!! I love pineapple and I will most definitely be trying this recipe. Thanks for sharing! 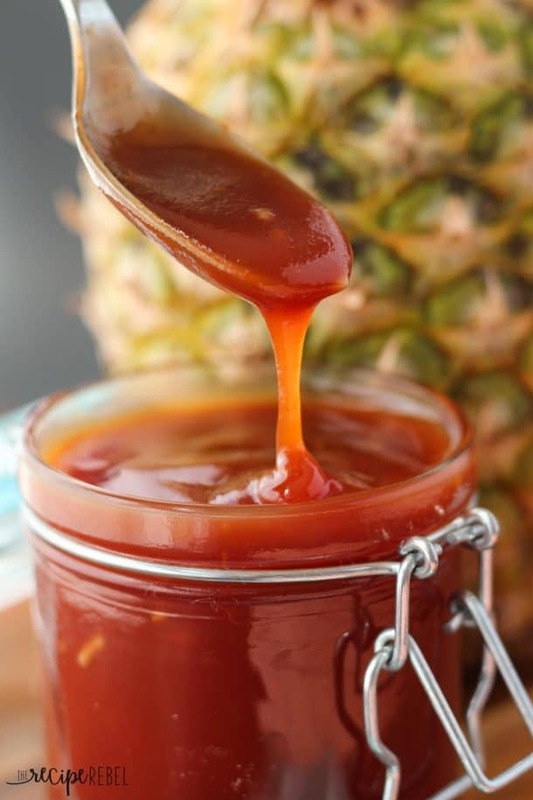 I like the sweetness of pineapple in a BBQ sauce. I bet this would be a great addition to a chicken barbecue pizza too! Thanks for sharing on Time to Sparkle. I think that would be awesome! Pineapple and chicken are so good together. That would be amazing! I’m a pineapple+meat fanatic! Bookmarked! What an awesome BBQ sauce, love everything in it!! Thanks — hope you like it!